For years, many of us have enjoyed Enjoy Life’s classic cookies and treats. And now, they’re challenging me and you to share our all-time favorite dessert recipes for their Generations of Inspiration campaign. In honor of this, I’m sharing my naturally dairy-free, nut-free, and gluten-free chocolate no bake cookies recipe, and the story behind it, in this post. You can share your recipe via this Generations of Inspiration Entry Page for a chance to be featured on Enjoy Life’s website and inspire a new product! My mother was always in her element during the holiday baking season. Every year she would whip up pristine mini pumpkin loaves for gifting and pies with perfectly crimped homemade crusts. But what I truly treasure is those non-specific times of year when we would make cookies together. Usually chocolate chip or oatmeal raisin (my dad’s favorite), but the first ones she taught me to make on my own were no bake cookies. 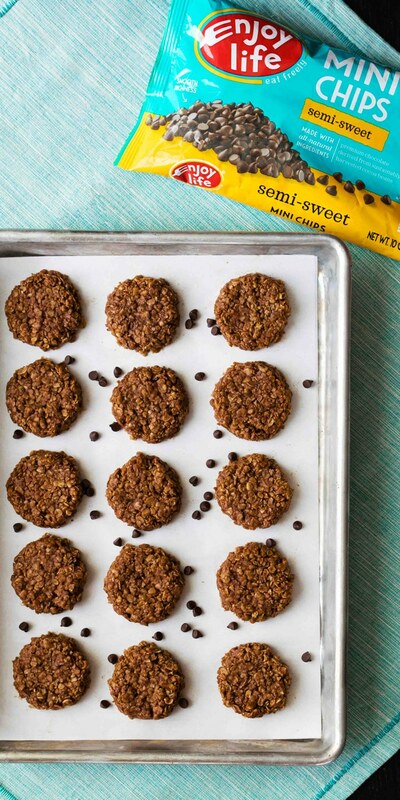 Back in the day, we didn’t add peanut butter or cocoa powder to no bake cookies. 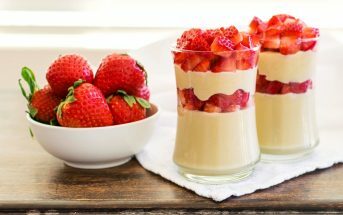 They were simply a mixture of dairy-free margarine, sugar, liquid, vanilla and oats – naturally allergy-friendly. But one day I wanted chocolate chip no bakes, so I stirred some morsels into the hot oat mixture. I was young, and didn’t anticipate the chocolate melting. But what resulted was wonderfully cohesive, fudgy, almost foolproof chocolate no bake cookies. Like my mom, I love to bake. I didn’t inherit her artistic perfection, but ever since those early experiments, I embraced the science of baking. I still experiment with different cookies regularly, but these chocolate no bake cookies are a tradition that I keep. Enjoy Life is honoring their allergy-friendly promise by changing their product packaging to a pretty teal hue. Teal has become the unofficial color of food allergy safety, and is a comforting hue for many of us. It’s also easy to spot in stores! 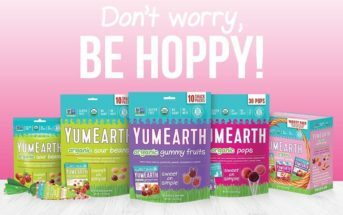 All of Enjoy Life’s tasty products are free-from gluten and 14 common allergens, including dairy, egg, wheat, peanuts, tree nuts, soy, sesame, sulfites, lupin, mustard, fish, and shellfish. They are also verified by the Non-GMO Project. 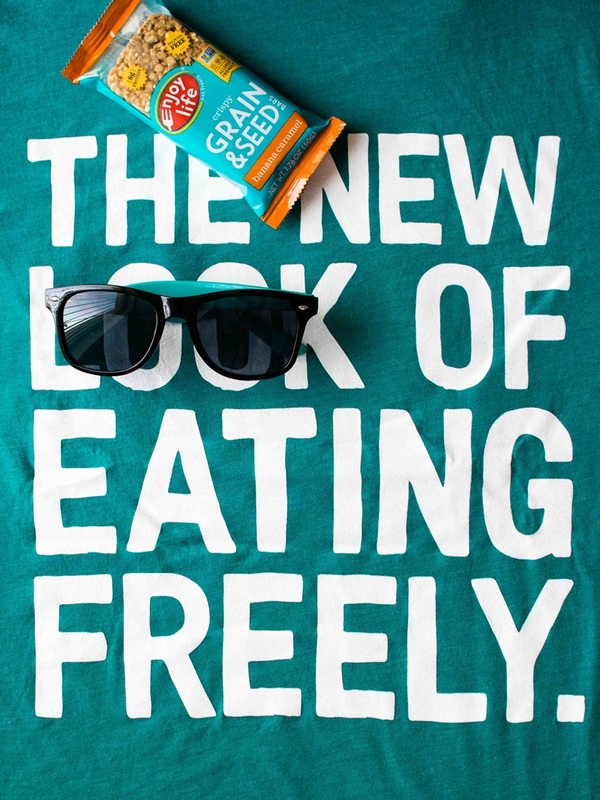 This post is sponsored by Enjoy Life Foods in honor of their “Generations of Inspiration” campaign. For more delicious campaign recipes, enjoy these Espresso Chocolate Chip Cookies by Petite Allergy Treats and these Brownies by Gluten-Free Palate. 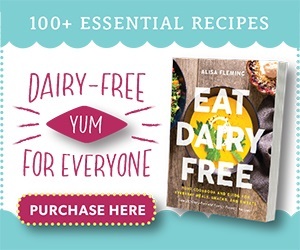 Like mine, both recipes are vegan, gluten-free, and allergy-friendly! These wonderful treats are meant to be quite sweet. 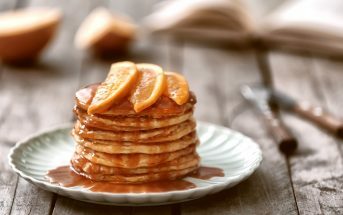 This recipe has less added sugar (I use organic cane sugar) than most traditional versions, but is still on the sweet side. We like them this way for little fudgy hits. But I can offer the following suggestions if you want reduce the sugar a smidgen. Use Dark Chocolate Chips – This is the option I recommend most. 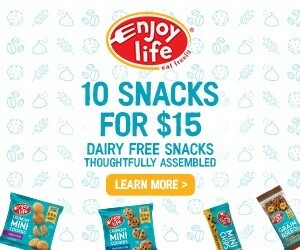 Simply use Enjoy Life Dark Morsels instead of their Semi-Sweet Mini Chips. Other Sweeteners – I did test these chocolate no bake cookies with lower-glycemic coconut sugar in place of the cane sugar. The texture is wonderful, and the taste is rich, less sweet, and a bit coffee like. I didn’t love them at first (I’m not a coffee fan), but the deep flavor grew on me. I think most granulated sugars will work well in this recipe (except sugar-free ones), but will influence the taste. 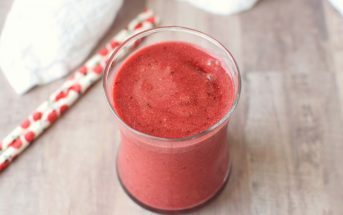 I haven’t tested this recipe with any liquid sweeteners or sugar-free sweeteners, so I can’t guarantee good results with either. Reducing the Sugar – As mentioned, these already have less sugar than most similar recipes. Reducing the sugar will cause results that are a little more oat-y and possibly more crumbly. The sugar does provide cohesion. Seed Butter – You can stir 1/4 cup sunflower seed butter (or peanut or nut butter if not allergic) into the hot liquid with the vanilla extract to cut the sweetness a touch. However, this will make the chocolate no bake cookies a bit softer. These sweet treats are a delicious allergy-friendly tradition, adapted over time from one of the first dessert recipes my mother taught me to make. Place the oats in a large bowl and make a well in them. The full 3 cups makes them a bit more oat-y and drier, but we like them that way, too. Pour the chocolate chips into the well of the oats. Put the sugar, milk beverage, oil, and salt in a medium saucepan and whisk to combine. Place the pan over medium heat and bring the mixture to a boil. Let it boil, stirring occasionally, for exactly 3 minutes. Remove the pan from the heat and whisk in the vanilla. Pour the hot mixture over the chocolate chips and stir to melt the chips. Then stir to fully combine the liquid with the oats. Like most no bake cookies, the mixture is a little crumbly, but should press together. Scoop the dough by the level tablespoon and space the scoops out just a little on a sheet lined with parchment paper. If desired, gently flatten and shape the cookies. Let sit for 10 minutes at room temperature, then refrigerate the cookies for 30 minutes, or until firm. These chocolate no bake cookies can be stored at room temperature, but we prefer to store them in an airtight container in the refrigerator (for up to 1 week) or the freezer (for up to 3 months). Pin these Dairy-Free Chocolate No Bake Cookies for Later! There was a period I did no bake cookies many times, I mixed the chocolate with dried coconut. The taste is the best when it is freezing!! Cannot wait longer to try this recipe. I’m with you Natalie. I just love the taste of frozen chocolate. My cookies wouldn’t come together. They’re definitely not wet enough… way too crumbly. Hmmm… Might try again some other time though. Thanks! Hmm, that’s very strange Rebecca. I tested this recipe a dozen times – literally! Never had a problem with them coming together. They are crumbly as you assemble them (typical of no bake cookies), but they press together and are VERY cohesive once chilled. They shouldn’t be crumbly once ready! What milk beverage did you use? Did you start with 2 1/2 cups oats. Any changes that you made to the recipe? Thank you Emily – it really is such a neat campaign. No bake cookies remind me of childhood. Can’t wait to make these with Sam when he gets a bit older! These would be a big hit in our house! And I’m sure they would disappear fast too! These look so rich and heavenly! I could eat so many of them. Yum!! I love no bake cookies over summer! They are so perfect for a backyard BBQ and ready in a flash! They are – so perfect for potlucks! 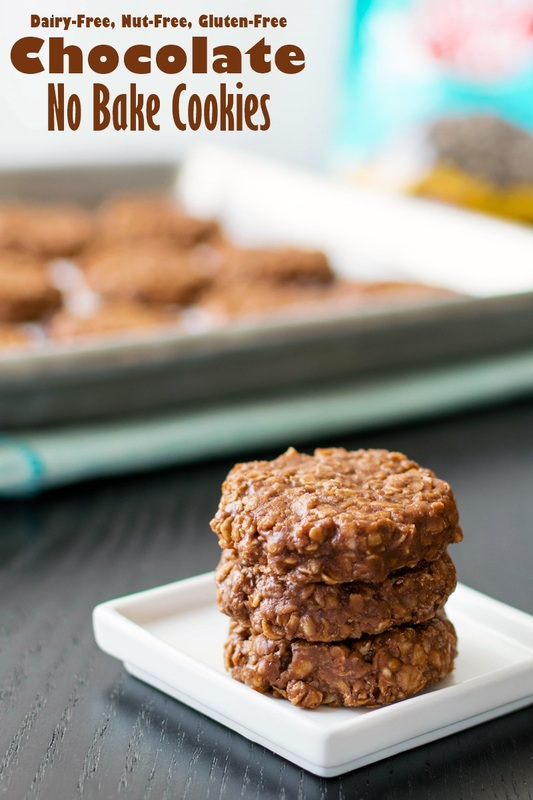 Love all of the ingredients in these cookies and they’re no bake!! Will have to make some soon! These are my absolute favorite! I love eating them for dessert, a snack, or even breakfast! I had forgotten about these no-bake cookies. I’ll have to make a batch for work. I’m excited. This sounds like a perfect recipe to make with the kids on days that the weather too messy to go outside. So fun! Great for kids to measure, stir, scoop and shape! Right? Not only is it cool for allergy awareness, it’s also just a darn pretty color. 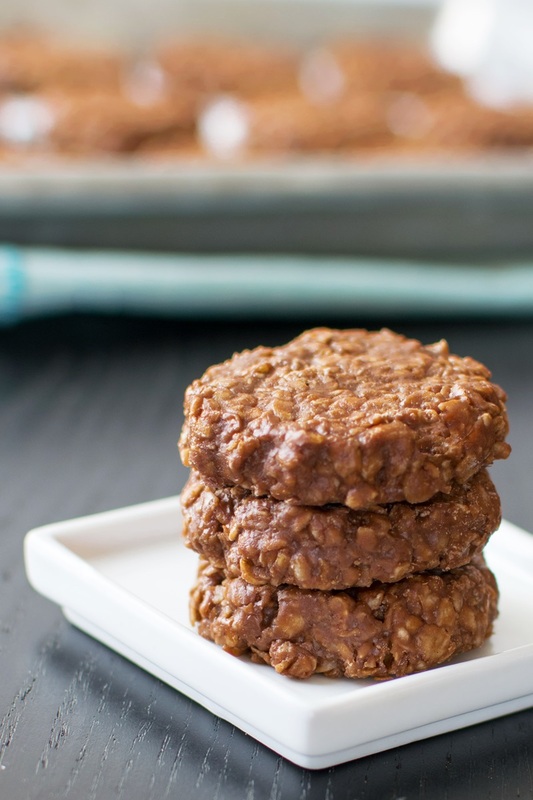 You had me at chocolate oatmeal cookies!! I was just bummed about not getting one of the Double Chocolate Enjoy Life ones I bought in the individual packages for my reading group as there are so many allergies. Of course there were only enough for the kids. I think it’s only fair I make these for myself! I love these no bake cookies. 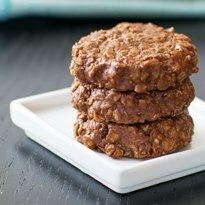 The no bake looks gives them a softer texture which I love! These no bake cookies look awesome Alisa! And best of all, they use my favorite….Enjoy Life Foods.